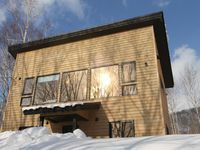 Properties in Niseko average 4.7 out of 5 stars. Apartment was like the pics or even better... there are plenty of towels to go around and the kitchen was fully equipped with dishwasher and utensils(coffee/tea making facilities). Bedroom and kitchen has floor heating which was perfect. Was surprise to see snowmobile on days of heavy snow that clear up the road early morning. Excellent owner and very helpful and friendly manager of the apartment which makes the stay even better. Tobaggan was even provided by Manager Melissa when she saw my family with 3 kids Thumbs up for excellent customer service Will stay again no doubt.